Miacademy - Welcome to Miacademy! Learning, Fun & Friends for Kids! 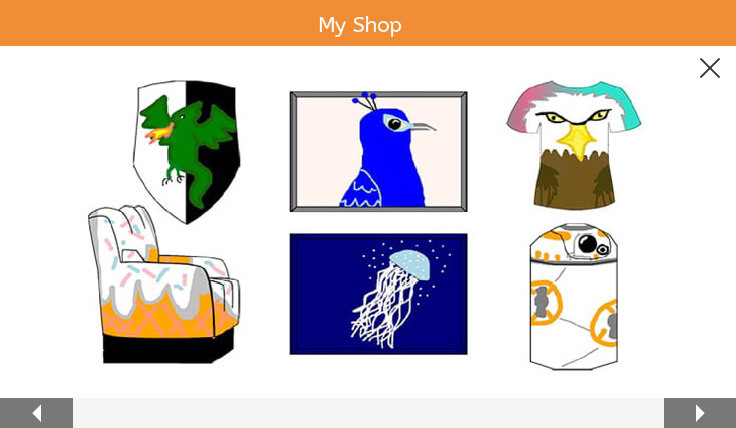 Did you know you can design clothes, furniture, and artwork on Miacademy? Learn from the popular Crafty Girls how you can make great videos. And make sure to check out the creations of other Miacademy members too. 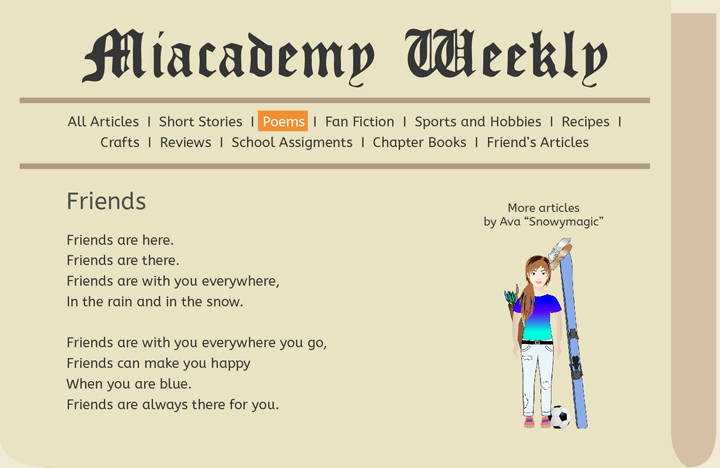 Become an author for the Miacademy Weekly! Other kids can read your article and you will also earn valuable Gold! Everyone gets a cute, jumpy egg on Miacademy. If you take care of it, it will turn into a dragon! Make friends and share your stories with other students. Wow - now you can try out Miacademy for one month for only $1.99! We just found Miacademy! I am so happy, the timing was perfect. I'm feeling so thankful right now. I can't get them to go to bed, they want to keep doing work! My 6-year-old discovered the newspaper section, and wrote (with my help) his very first Fan Fiction! My 11-year-old is working on a short story now. We are really loving the creativity built into this program. Best thing I have found so far! My son and daughter love it! 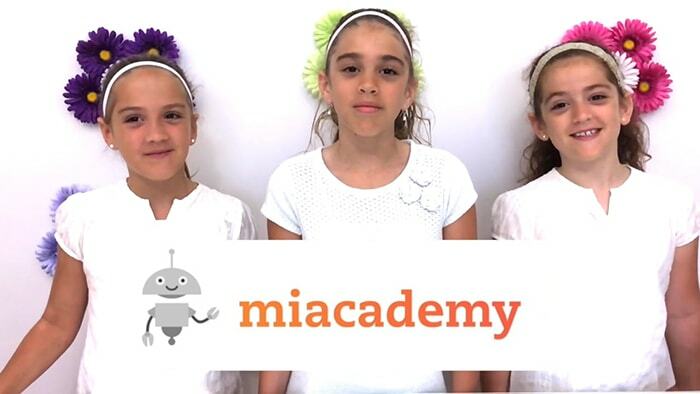 We signed up last week and my kids are so in love with Miacademy! I got it for my daughter to try out. She loves it. It has many lessons that we use to review recent studies and lessons to learn new things too. 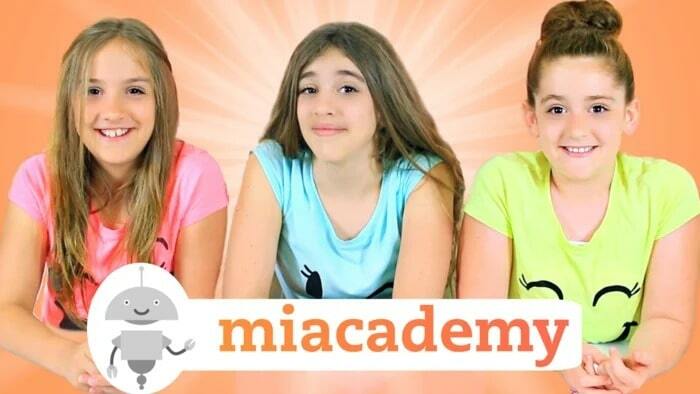 To anyone considering it, we've had Miacademy for a few weeks now and my kids are so so in love with it! Thank you, I have to say she has learned more in the 2 days on your site than in the school year. Love the variety of subjects. I have 4 kids and all of them like the site. I love this program!!! Its the best one! We just wanted to express how much we LOVE your site! My son enjoys the activities and it's wonderful how the rewards are set up. It offers practice taking care of the pets and adds creativity with their castles. Thank you! My 6yo LOVES this!! This is a GREAT addition to use in homeschooling!! My kids can't wait to get their turn to play their games to earn their gold so they can take care of their pets. Not only are they learning from the games, but they are learning responsibility by taking care of their pets. I love this - my kids will pick it over Xbox and Wii for their "screen time" because of their desire to take care of their little eggs that they earn. It is easier to navigate than other learning sites I’ve tried, and the parental updates on each son are great. I can even award bonus coins to them for doing what I want them to do (like playing the learn-to-type game or cleaning their room in real life)! I love how many different subjects are covered. Seeing German is what sold me over other programs. Let me just say, this site has been a WONDERFUL motivator for my kiddos! My 8 year old and 11 year old are loving it. We just signed up and they are addicted. We love Miacademy! My boys are excited to learn new things because this site makes it fun! 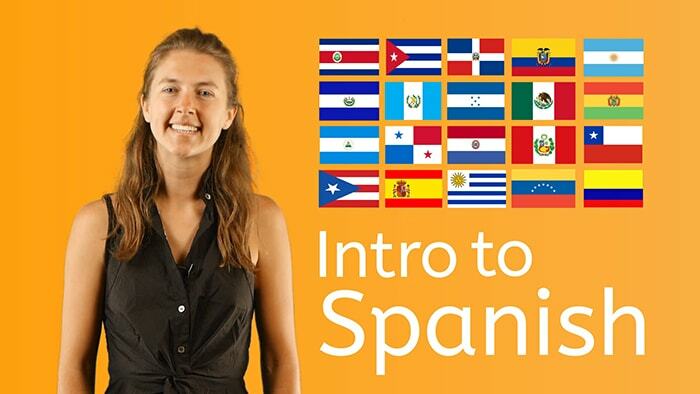 We recently moved to another country and they are using Miacademy to practice the new language and keep in touch with their friends back home!